Reserved until April 15 ? The last reservation of this item will conclude on April 15. For rentals that require shipping or a pickup at a non-headquarter location, please select a later date for your arrival. Headquarter offices are the only locations that can accept a same-day reservation, as transit time is not calculated in this date. The Zacuto Z-Drive and Tornado Grip Follow Focus Kit is designed with single-operator shoulder-mounted rigs in mind. It consists of a mechanical follow focus Tornado Grip for 15mm rod support systems and a Z-Drive with a fixed 0.8 pitch gear for connecting to your lens. To use, slide the Tornado Grip into the Z-Drive whip port by pushing down on the round plunger and pushing the Tornado into the port. Grab the horn handle and turn to focus. The curve of the Z-Drive in conjunction with the ergonomics of the Tornado Grip allows for comfortable and quick operation without additional assistance and will accommodate a wide variety of lenses. 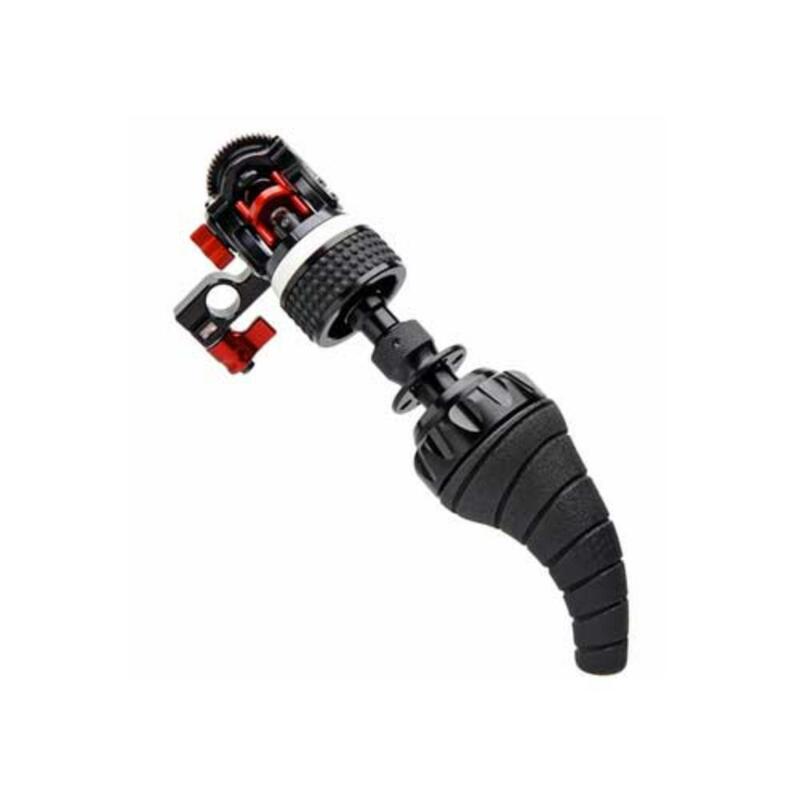 It is particularly suited for the Zacuto Recoil but will work with any Zacuto shoulder-mounted rig. The Z-Drive can also be used with a standard follow focus whip on a tripod, allowing for last-minute rig switch-ups on set.